Click on the above picture for a full-size view. 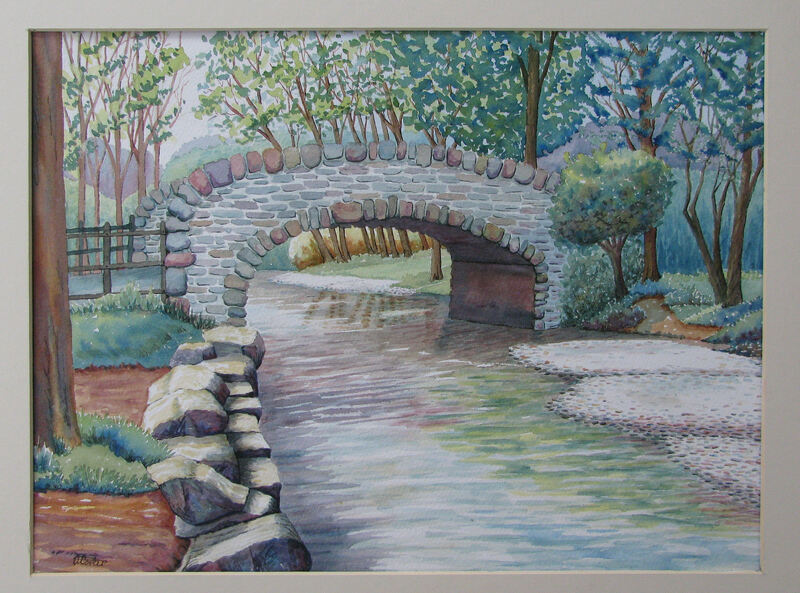 Description: I was asked if I could repaint an earlier scene, called Cornish Bridge. As you can see, it is not exactly the same, but a new envisioning of the same scene, captured on photograph.